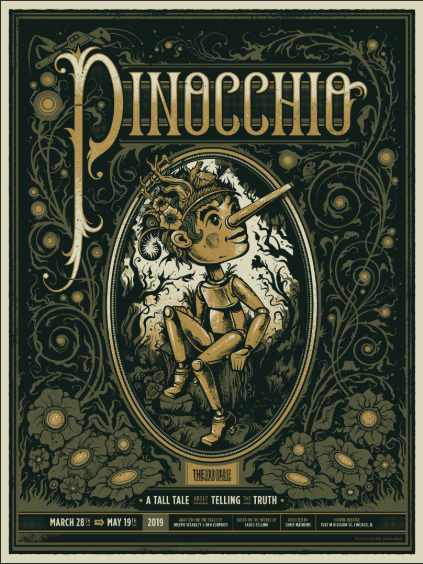 More than 60 Chicagoland students make their Goodman Theatre debut on the mainstage to conclude summer programming—PlayBuild Youth Intensive and Musical Theater Intensive—on August 10 and 11 at 7pm. The free programs were taught over a course of seven-to-eight weeks in the Alice Rapoport Center for Education and Engagement. This year’s theme is 1968, marking the 50th anniversary of the now historic year—Musical Theater Intensive will feature selections from the rock musical Hair and more. The PlayBuild final performance will also feature members of the Goodman’s InterGens program—participants who have previously participated in the Goodman’s education programs—to create a special opening piece for the August 10 performance. 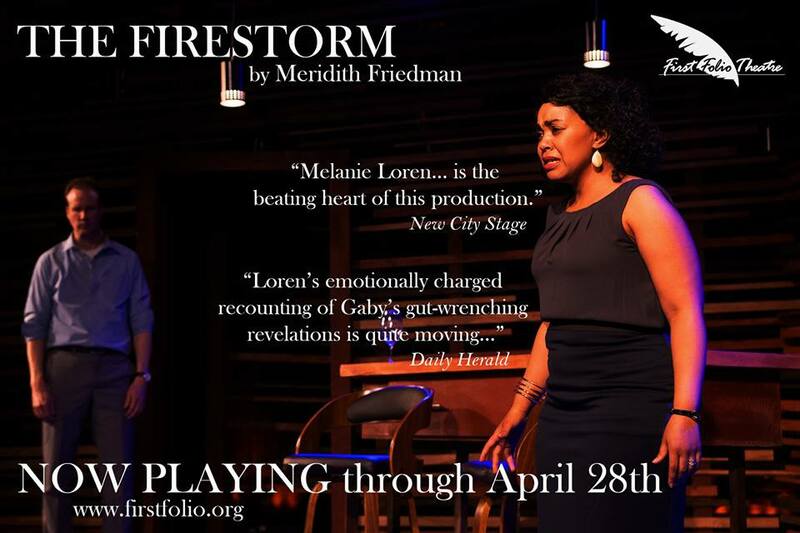 The final showcases takes place on Friday, August 10 and Saturday, August 11 at 7pm at Goodman Theatre (170 N. Dearborn). Tickets are free but reservations are required; call 312.443.3800. For more information, visit GoodmanTheatre.org/PlaybuildYouthFinal and GoodmanTheatre.org/MusicalTheaterFinal. 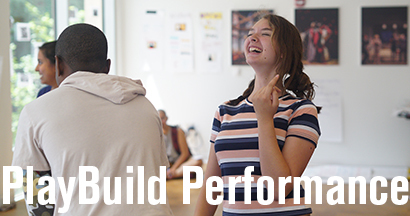 Now in its 11th year, PlayBuild Youth Intensive’s seven-week curriculum uses all elements in the creation of theater to cultivate participants own voice and potential for creativity through personal history and storytelling techniques. Led by Walter Director of Education and Engagement Willa J. Taylor and 11 teaching artists—Amanda Delheimer, Khanisha Foster, Charles Gardner, Brandi Lee, Airos Sung-En Medill, Tony Sancho, Paul Whitehouse and Walker Zupan—more than 600 students have participated in PlayBuild (formerly General Theater Studies) since its inception. Musical Theater Intensive, now in its third year, is led by acclaimed Chicago-based musical director Doug Peck together with Goodman teaching artists—Breon Arzell, Mark Jacob Chaitin, McKenzie Chinn, Liam Collier, Mateo Hernandez and Darian Tene. 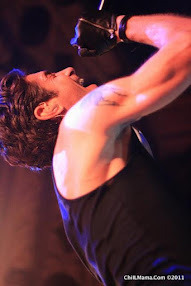 The eight-week program designed for young artists wishing to pursue a musical theater career. 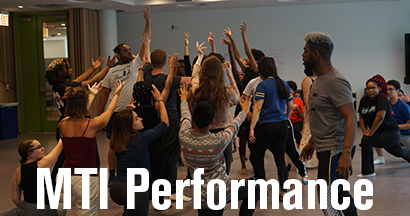 Through skill-building workshops designed to refine skills in acting, dancing, singing, storytelling and ensemble work, participants build a final musical showcase of original creations, works of classic and contemporary musical theater, and pop. The Goodman is grateful for the generous support of its Education and Engagement program sponsors. The James and Madeleine McMullan Family Foundation is the Major Supporter of the Musical Theatre Intensive. PepsiCo is the Official Nutrition Sponsor for PlayBuild | Youth Intensive. The Goodman Scenemakers Board is the Sponsor Partner for PlayBuild | Youth intensive. KPMG is the Supporter of PlayBuild | Youth Intensive. The Goodman Women’s Board is the Major Supporter of Education and Engagement. AMERICA’S “BEST REGIONAL THEATRE” (Time magazine), Goodman Theatre is a premier not-for-profit organization distinguished by the excellence and scope of its artistic programming and civic engagement. Led by Artistic Director Robert Falls and Executive Director Roche Schulfer, the theater’s artistic priorities include new play development (more than 150 world or American premieres), large scale musical theater works and reimagined classics (celebrated revivals include Falls’ productions of Death of a Salesman and The Iceman Cometh). Goodman Theatre artists and productions have earned two Pulitzer Prizes, 22 Tony Awards, over 160 Jeff Awards and many more accolades. In addition, the Goodman is the first theater in the world to produce all 10 plays in August Wilson’s “American Century Cycle” and its four-decade annual holiday tradition A Christmas Carol, which has created a new generation of theatergoers. The Goodman also frequently serves as a production partner with local off-Loop theaters and national and international companies by providing financial support or physical space for a variety of artistic endeavors. Goodman Theatre was founded in 1925 by William O. Goodman and his family in honor of their son Kenneth, an important figure in Chicago’s cultural renaissance in the early 1900s. The Goodman family’s legacy lives on through the continued work and dedication of Kenneth’s family, including Albert Ivar Goodman, who with his late mother, Edith-Marie Appleton, contributed the necessary funds for the creation of the new Goodman center in 2000. Today, Goodman Theatre leadership also includes the distinguished members of the Artistic Collective: Brian Dennehy, Rebecca Gilman, Henry Godinez, Dael Orlandersmith, Steve Scott, Chuck Smith, Regina Taylor, Henry Wishcamper and Mary Zimmerman. David W. Fox, Jr.is Chair of Goodman Theatre’s Board of Trustees, Denise Stefan Ginascol is Women’s Board President and Megan McCarthy Hayes is President of the Scenemakers Board for young professionals.